The fact that Hitchcock never won Best Director was reason enough for me to start this endless and pointless endeavor, proof enough that the Academy has stood neither for the people nor for the good of films, rather toppling over us all as a nepotic, narcissistic, despot of all vanquishing self glory. The fat man, as he was not popularly known, was nominated many times, fair enough but it is my burden to to bring down the curtain on the big names that no-one dares speak of, to offer some apology and celebration to those who should have been but never, or rarely were. Thankfully there have been many times when the board got it right in this category over the years, but with the unholy gift of hindsight we can see that the films and directors who truly live on are the ones who were the subjects not of awards, but of finger-pointing and jealous, upper-class finger poiting. I give you the best of our times. 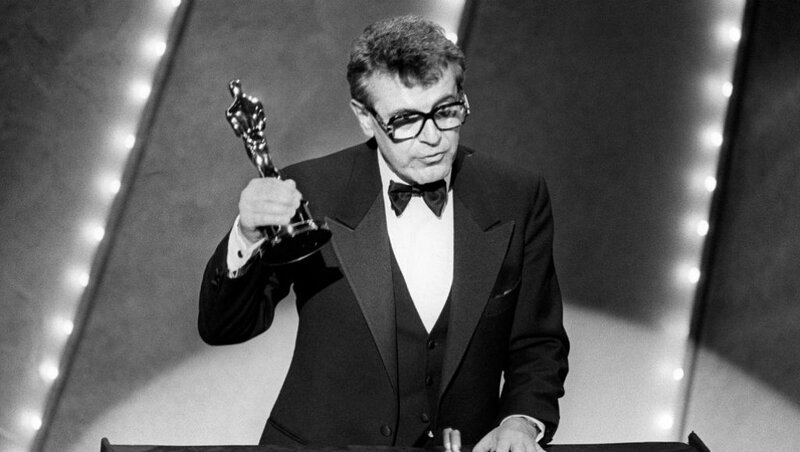 Official Nominations: Milos Forman. Federico Fellini. Stanley Kubrick. Sydney Lumet. Robert Altman. If you needed any further proof that 1975 was one of the greatest years of Cinema, look at those five directors and their nominated films. Add to that the fact that a number of equal or even more significant films/directors weren’t nominated. We can drop Fellini immediately given that Amarcord was made 2 years earlier and had already won the Best Foreign Picture award. That leaves four nominees each deserving of the win and I’d be happy with any of them picking up the win. Altman picked up his second nomination for the hugely successful Nashville, while Lumet and his films had been getting nods since the late 50s – for me Dog Day Afternoon is his best film, but not necessarily his best work as a director. Kubrick of course never picked up an official Directing win, but his work on Barry Lyndon is as worthy of an award as any other film here, while Forman attained mainstream acclaim with One Flew Over The Cuckoo’s Nest, bringing Kesey’s novel to the screen with heart, style, sadness, and joy. Take your pick. The main four nominees make my list, joining the central omission of the year – Senor Spielbergo and his painstaking work on Jaws. Russell gets a nomination for having the balls to work on and release two films as madcap as Tommy and Lisztomania in the same year while Gilliam and Jones get a nod for having the balls to create The Holy Grain. Official Nominations: Francis Ford Coppola. John Cassavetes. Bob Fosse. Roman Polanski. Francois Truffaut. It’s always unfortunate for the other nominees when they come up against such a sure-fire clear winner. No-one stood a chance against Coppola here, and rightly so, but each of the other directors and their films are notable. 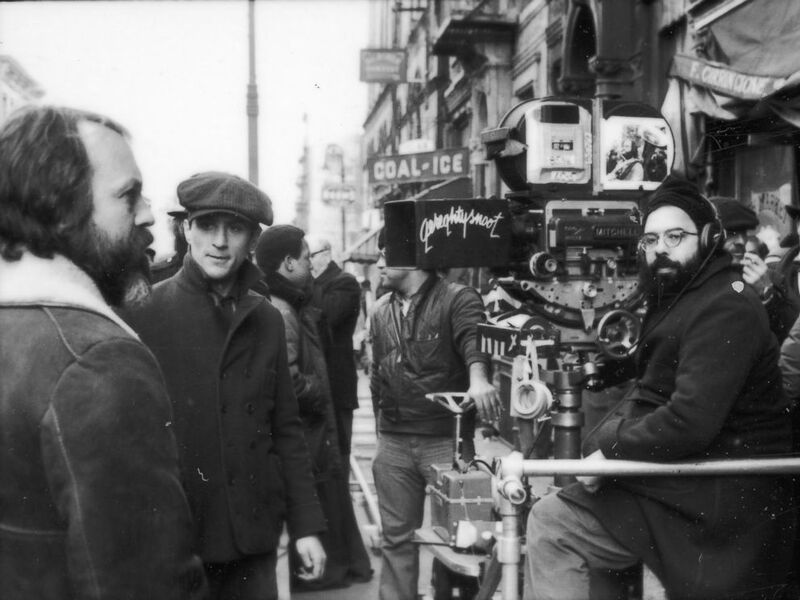 Not only did Coppola unleash The Godfather Part II, but he also gave us The Conversation – either film would be strong enough to win in this category, but when he directed both in one year – fuggetaboutit. John Cassavetes directs possibly his most straightforward film, and yet it’s probably his most dense featuring an, at times, incredible lead performance from Gina Rowlands. It’s a character study at heart, yet takes shots at wider society and its expectations, and Cassavetes directs it at his least experimental, most personal. Bob Fosse’s Lenny likewise feels like the least Fosse film from a directorial standpoint, yet all his usual interests are present an accounted for, and it’s bolstered by another wonderful lead performance. Truffaut’s Day For Night is as experimental as you would assume, yet not so much that it is a detriment to the story or alienating to the viewer. It’s not quite a love letter to cinema, as much as it is a pervert’s eye view of the unseen parts of film-making. Finally, Roman Polanski loses out in Chinatown – a clear winner any other year such is its majesty. My Nominations: Francis Ford Coppola. John Cassavetes. Roman Polanski. Francois Truffaut. Tobe Hopper. Mel Brooks. John Guillerman. If you’ve read my previous posts for this year, then you’ll be expecting my additional nominees – Tobe Hopper for his horrific The Texas Chainsaw Massacre, in which every trick in the book is used to get under the skin, and every aspect of film-making is twisted so that the viewer is repulsed. Mel Brooks on the other hand balances script and performance manically in both Blazing Saddles and Young Frankenstein to elicit wild giggles from anyone fortunate enough to stumble upon either film – another fine example of a double effort by one director. Finally, John Guillerman ensures that the disaster movie reaches its peak, making The Towering Inferno more than mere spectacle but filling it with tense drama, action, and even laughs. Let us know in the comments who your pick is for the Best Director of 1974! Official Nominations: George Roy Hill. George Lucas. Ingmar Bergman. William Friedkin. Bernardo Bertolucci. This is a weird catagory – Bergman and Bertolucci are immediately out for their films having been made the year before. I always felt the Lucas nomination was a weird one – the USA loves their flag-waving of course, but still I didn’t feel the film was the sort they would tend to nominate. Lucas is assured and the film is a labour of love – it ain’t no Star Wars though. That leaves Friedkin and Hill – Hill, with The Sting, was always going to be the winner here. There isn’t much to choose between the pair, both iconic films, both directed with style and confidence. 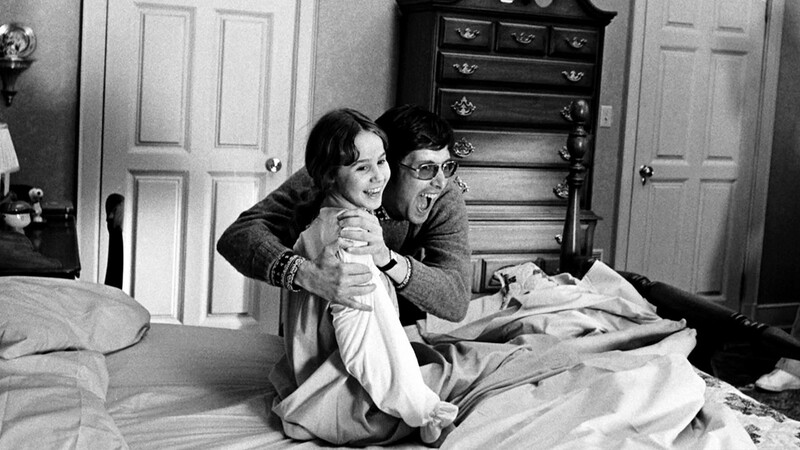 In that case if comes down to personal preference – for me The Exorcist wins every time. My Nominations: William Friedkin. George Roy Hill. Terence Malick. Nicolas Roeg. Robert Clouse. Guy Hamilton. Martin Scorsese. Peter Bogdanovich. Franklin J Schaffner. Sidney Lumet. Robin Hardy. A bunch of additional entries for me, starting with the most likely to have happened in reality. Badlands – Malick’s first movie was acclaimed but didn’t get a lot of recognition until much later while Roeg’s visionary work on Don’t Look Now was praised even if the final product was not deemed as successful. I’m surprised Bogdaovich didn’t get nominated for Paper Moon – it’s not all about the O’Neals after all, and Lumet could feel a little miffed at Serpico being largely passed over. The less likely nominations include Schaffner for the spirited Papillon and Scorsese for Mean Streets – the near documentary realism perhaps too close in style to the actual documentaries he had been releasing to this point. Completely out of left field are my final picks – Guy Hamilton for Live And Let Die – one of my favourite outings for 007 and to my mind one of the most shamelessly entertaining, and Robin Hardy for The Wicker Man as chilling and authentic a horror film as you’re ever likely to see. Finally, Robert Clouse deserves a nomination simply for helming the single most famous martial arts movie ever – it’s stylish, it’s fast, it’s violent, and it’s the first film most people will think of when asked to name a kung fu movie. Official Nominations: Bob Fosse. John Boorman. Francis Ford Coppola. Joseph L Mankiewicz. Jan Troell. Bob Fosse picked up his win here. Seriously. As much as you may love Cabaret, and as much as Fosse does a great job, there is only one winner here. Indeed, I’d probably put Boorman and Mankiewicz higher than Fosse for two very different types of taut thriller in Sleuth and Deliverance respectively. Jan Troell shouldn’t be here at all given that The Emigrants movie came out in 1971 – remembering I don’t care for what and when a film finally showed in LA or USA. My winner is Coppola – isn’t everyone’s? The Godfather is a masterclass from A-Z in the art of Cinema. My Nominations: Francis Ford Coppola. Bob Fosse. John Boorman. Joseph L Mankiewicz. Werner Herzog. Bruce Lee. Bernardo Bertolucci. Ronald Neame. Andrei Tarkovsky. The four big shots all make it over to my list – you can’t really argue against any of them being nominated. I don’t think you can argue against Coppola still winning here – most of my additions would never stand a chance of getting nominated in reality, but each is strong in their own right. I didn’t go so far as giving John Waters one (matron). Herzog’s Aguerre was famous just as much for trouble on set so the fact that such a great movie emerged from the other side speaks volumes, while Bruce Lee made his only complete movie (Way Of The Dragon) as director, one which remains at the top of the martial arts genre. One of the great shames of his early death was not only that he didn’t appear in any more films, but that he didn’t direct any more. Bertolucci gets an obvious nomination for Last Tango In Paris, beauty and disgust colliding, while Andrei Tarkovsky’s Solaris is incredibly influential in many departments. My final nomination is for Ronald Neame’s The Poseidon Adventure – arguably the most thrilling of all the disaster movies although I admit the nomination is more to do with scope than overall quality. Let us know in the comments who you choose as the Best Director of 1972! Official Nominations: William Freidkin. Peter Bogdanovich. Norman Jewison. Stanley Kubrick. John Schlesinger. One of the finest and most difficult list of nominees to choose from this year. We have four classics and one good film which is not remembered like the others – five great directors. Freidkin got the official win and it’s difficult to argue against that – his decision to shoot in a gritty, realistic style would influence countless films and in many ways symbolizes the decade. Peter Bogdanovich shoots his coming of age drama in black and white somehow accentuating nostalgia, fearlessness of youth, and desolation. Jewison had already won Best Picture and been nominated for Best Director but Fiddler In The Roof is a standard stage to screen adaptation. Kubrick shows how to adapt a story for the big screen with character – making the end product unquestionably his own while retaining the plot and themes. Finally, Schlesinger’s Sunday Bloody Sunday isn’t as bleak as some of his previous and later work, a progressive film which never fails to remind the viewer that most of us are broken. For me there are three directors on near enough even footing here, but Kubrick’s goes that bit further in crafting something which remains unique. My Nominations: William Freidkin. Peter Bogdanovich. Stanley Kubrick. Ken Russell. Don Siegel. Mike Hodges. Dalton Trumbo. Alan J Pakula. Robert Altman. Sam Peckinpah. George Lucas. Nicholas Roeg. Mel Stuart. Ahem. Yes, I did go a little overboard with my choices, but it’s my blog so take your tears elsewhere. There are plenty of other directors deserving of a nomination this year who didn’t get an official one or from me. Ken Russell’s work on The Devils speaks for itself while Don Siegel’s pulling together of script, music, performance, and politics ensured Dirty Harry became one of the most famous films of the decade. Mike Hodges crafts a similar film with Get Carter, but one with a British grit and stark feeling throughout which Hollywood could not emulate in crime fiction – Bleak war movies were more in vogue in the US and Dalton Trumbo’s Johnny Got His Gun is as bleak as they come, with Trumbo adapting his own novel over thirty years after its release as the US found itself fighting another war. Alan J Pakula gets a deserved nomination for the swerving Klute, Robert Altman racks up another nomination for his inside-out Western McCabe And Mrs Miller, and Sam Peckinpah is a must-nominate for the ever-violent, ever-popular Straw Dogs. George Lucas gives one of the most unique visions of the year with his rarely seen debut THX 1138, Nicholas Roeg makes his first mesmeric and unsettling film with Walkabout, while Mel Stuart creates a bright, youthful, and eternally charming entertainer with Willy Wonka And The Chocolate Factory. Let us know in the comments who you would pick as the Best Director of 1971! Official Nominations: Franklin J Schaffner. Robert Altman. Federico Fellini. Arthur Hiller. Ken Russell. Schaffner picked up the win for Patton this year – one of the most legendary biopics of all time. We all know The Academy loves biopics, good or bad, but this at least is one of the best. While Scott gets the plaudits nowadays, Schaffner keeps in control of the epic scope and of course it was his decision to memorably open with Patton’s speech. Robert Altman made Brewster McCloud this year, but when you also make MASH in the same year, only one of those is going to be remembered. Another war film with a large scope and cast, it is different from Patton in many ways, but Altman is able to leave his stamp on the film. Fellini gets a nomination for Satyricon a year after it was release in Europe, Ken Russell gets the same for Women In Love, while Arthur Hiller has a nomination handed to him by virtue of how successful Love Story was. If we drop Hiller from the list, it’s a tough toss-up between the remaining directors. We can drop Fellini and Russell simply because their movies came out the previous year – Women In Love also receives further official nominations this year. That leaves our two war films. My Nominations: Franklin J Schaffner. Robert Altman. George Seaton. William Freidkin. Mike Nichols. Jean Pierre Melville. Bernardo Bertolucci. Bob Rafelson. John Huston. I’m removing Ken Russell and Fellini from my list, partly because their movies were released in previous years and so that I can free up some more space. Seaton and Rafelson get nominations for two movies which were heavily nominated elsewhere but missed out here – Airport and Five Easy Pieces respectively. Freidkin takes controversial subject matter off the stage and onto film, again proving how adept he was at adapting theatrical work, getting the maximum power from scenes filmed in essentially small spaces. Mike Nichols took his first hit with Catch-22 – a film released at the wrong time when Patton and MASH grabbed the limelight, but it’s an adaptation worth re-visiting. John Huston returned to the world of spies with the altogether more serious film The Kremlin Letter, a stark and dense vision of a twisting world. We continue to move away from the US for my final nominations – to France for Melville’s La Cercle Rouge, another heavily stylized thriller, probably overlong, but which build’s to one of cinema’s finest heist scenes. To Italy finally for The Conformist as Bertolucci extravagantly shows us one man’s journey through life in a turbulent time, crafting a visual treat unlike anything else released in 1970. Let us know in the comments who you pick as the Best Director of 1970! Official Nominations: John Schlesinger. Arthur Penn. George Roy Hill. Sydney Pollack. Costas Gravas. John Schlesinger was more known for musicals and comedies and costume dramas in 1969 -fluff in other words, so it seems all the more surprising that he was able to comfortably make such a contemporary and dark, at times, movie like Midnight Cowboy. It was his second nomination and first win. Also hitting dark notes but with a distinctly comic approach is Arthur Penn’s Alice’s Restaurant – it’s definitely a product of its time but asks some pertinent questions which America is still trying to answer today. No-one really remembers it, but it’s one worth re-visiting. George Roy Hill’s films were no strangers to Oscar nominations, but with BCATSK he had his greatest success to date making some unconventional choices in editing and music and style to create a timeless vision. Sydney Pollack takes They Shoot Horses, Don’t They, a popular story which on paper doesn’t sound cinematic or entertaining, and makes it gripping, tense, and exhausting viewing while Costas Gravas merges vital political issues with fast-paced personal triumph and tragedy in Z. My Nominations: John Schlesinger. George Roy Hill. Dennis Hopper. Federico Fellini. Peter Collinson. Francis Ford Coppola. Sam Peckinpah. Costas Gravas. Three of the official nominees join my list, featuring a few interesting snubs. Fellini’s Satyricon would get nominated for Best Director the following year but I’m including it here too, while Dennis Hopper’s chaos-filled, on-the-fly approach for Easy Rider ensures the film is an endearing classic. Peter Collinson keeps thinks energetic and uniquely English in The Italian Job, while Francis Ford Coppola branched out into more mature territory on The Rain People, hinting at where he was headed as a filmmaker. My final nominee, and my winner is Sam Peckinpah for The Wild Bunch – the movie which puts one final explosive round through the Western genre, filled not only with innovative edit techniques but also merging the old and new styles of the genre to complete a poignant, violent sign-off. Let us know in the comments if I have missed one of your choices and share your winner! Official Nominations: Carol Reed. Anthony Harvey. Stanley Kubrick. Gillo Pontecorvo. Franco Zeffirelli. Some expected nominations this year, alongside a couple of surprises. Gillo Pontecorvo makes a surprise appearance for the wonderful Battle Of Algiers – a film released in 1966 and one which had already been nominated for an Oscar the previous year (and would again be nominated in a later year). Stanley Kubrick also picks up a nomination – a surprise given that the remaining three nominees had their films featured in the Best Picture category. Although it is far from a one man movie, it is clear that 2001 is 99% Kubrick – its many faults and many good points fall to him and it can still be said to be possibly the ultimate Science Fiction movie. Carol Reed unsurprisingly picked up the win this year with his Oliver! – even all these decades later it’s still entertaining, probably the best version of Dickens’ story, but it’s still a fairly straight adaptation of a stage play so I can’t credit Reed as much as Kubrick or Pontecorvo. Rounding out the list – Zeffirelli for Romeo And Juliet and Harvey for The Lion In Winter – both stage adaptations, well directed with Zeffirelli showing his usual flair and Harvey continuing the long tradition of stilted historical dramas. My Nominations: Stanley Kubrick. George A Romero. Peter Yates. Mel Brooks. Roman Polanski. Sergio Leone. Franklin J Schaffner. A groundbreaking year in many respects, but the official nominations don’t reflect this. Similar to my Best Picture nominations, it’s almost an entirely different list from me, with my Best Picture nominations making their way over to the Best Director category. I’m tempted to give a tie here, because so many of the directors here offer either career best’s or truly groundbreaking and innovative, timeless works. Kubrick of course crafts possibly the first modern, visual masterpiece, but more than that he takes storytelling in different challenging directions. George Romero and his small group of largely untrained actors and staff, somehow caught magic and created two new genres – the modern Zombie movie, and the elevated B movie – a low budget independent movie that is so good that it transcends its limitations and becomes something special. It’s clear that though Romero is inexperienced and flying by the seat of his pants, his story and technique are flawless and make something unforgettable. This wasn’t the only groundbreaking horror film of the year though, with Polanski taking an altogether more urbane and suburban approach to his Rosemary’s Baby. Polanski had already chilled with the likes of Repulsion, but this time his film is all horror – again focusing on the life of a young, modern woman trapped in a circumstance beyond her control. Polanski unwraps the horror slowly, the mirror opposite of Romero’s unending onslaught, and although we get subtle hints throughout that something is very, very wrong, it isn’t until the final scene that the truth is horrifically revealed. Again, we can draw comparisons with how Night Of The Living Dead offers a final shocking scene. On a lighter note, Mel Brooks gets a nod from me for The Producers, a film which did pick up two other nominations this year. Aside from the whip-smart script, Brooks keeps the face fast, and allows a superb cast room for improvisation – throw in songs, sets, and silliness and it’s a winner. Yates and Schaffner create their own hits, Yates showcasing the cool factor of cars, chases, Steve McQueen, and genuine, unadulterated dialogue, and Schaffner bring’s the best out of Rod Serling’s original vision for Planet Of The Apes, while adding his own touches of realism and authenticity. Finally, Sergio Leone outdoes himself by creating a more poignant, artistic Spaghetti Western, but one still filled with the realism and brutality which he previously brought to the genre. Going largely unnoticed at the time, Once Upon A Time In The West is now rightfully ranked among the best movies ever made. My Winners: Yes, it was a year for ties, so my winners are Kubrick and Romero. Let us know in the comments section who you think should have been winner of the Best Director of 1968! Official Nominations: Mike Nichols. Richard Brooks. Norman Jewison. Stanley Kramer. Arthur Penn. It’s another close call for 1967, with Mike Nichols picking up the official win for The Graduate. Richard Brooks got his directorial nomination for his take on Capote’s In Cold Blood, Arthur Penn picked up his second for Bonnie And Clyde, while both Norman Jewison and Stanley Kramer tackled racism and both deservedly earned a nomination. My Nominations: Mike Nichols. Arthur Penn. Norman Jewison. Roman Polanski. Luis Bunuel. Stuart Rosenberg. Robert Aldrich. Jean Pierre Melville. Terence Young. Lewis Gilbert. As strong a list of official nominations as we had this year, we nevertheless passed over a number of visionary directors and their works. Polanski tried his hand at comedy successfully in The Fearless Vampire Killers, while Robert Aldrich keeps the action and entertainment moving swiftly with The Dirty Dozen. Lewis Gilbert helms one of my all time favourites with You Only Live Twice, while another Bond favourite Terence Young admirably apes Hitchcock with Wait Until Dark. Stuart Rosenberg struck gold with Cool Hand Luke, Jean Pierre Melville made his most well known film in Le Samourai, and Luis Bunuel continued his incredible 1960s streak with Belle De Jour. Once again, any of these is deserving of the win. A controversial pick for me, but the scope of a Bond film had never been so large before, and for sheer scale, action, gags, and entertainment it is a tough one to beat. Who do you think deserves the Best Director crown of 1967? Let us know in the comments! Official Nominations: Fred Zinnemann. Michaelagelo Antonioni. Richard Brooks. Claude Lelouch. Mike Nichols. A wide array of directors this year, most of whom were foreigners who were to find new fame in the US. No stranger to The Oscars, Zinnemann had his most successful yeay since making From Here To Eternity in 1953, and this year he picked up the win for A Man For All Seasons. Antonioni broke through to the mainstream with Blowup. Claude Lelouche also burst onto the mainstream scene with his most famous film A Man And A Woman which garnered a host of nominations and awards. Since leaving MGM, Brooks had continued his commercial and critical successes with the likes of Elmer Gantry and Lord Jim, and hit another winner this year with The Professionals. After years as a respected and sought after theatre director, Mike Nichols made his first feature film to astounding success, and the first of many critical hits. My Nominations: Fred Zinnemann. Michaelagelo Antonioni. Rene Clement. Sergio Leone. Francois Truffaut. Monte Hellman. A mostly foreign roster for me this year, adding Truffaut for Farenheit 451, Clement for the massive Is Paris Burning?, and of course Leone for The Good, The Bad, And The Ugly. Though each of these films was groundbreaking in their own way, Leone’s film was a landmark stepping stone for action movies and almost acted as the death-bell for the traditional Western. Gritty was in, and his handling of characters and story soon seeped into every other genre. While not the most obviously groundbreaking film made this year, it is easily one of the most entertaining, and that is largely down to Leone’s handling of the pace, plot, and action. Monte Hellman helms an entirely different sort of Western with The Shooting, one packed with mystery, strangeness, and atypical characters. Who is your pick for Best Director of 1966? Let us know in the comments!